You’ve been leading two lives. At your desk, you’re all business. When you’re partying, you’re… all business. About perfecting the worm. 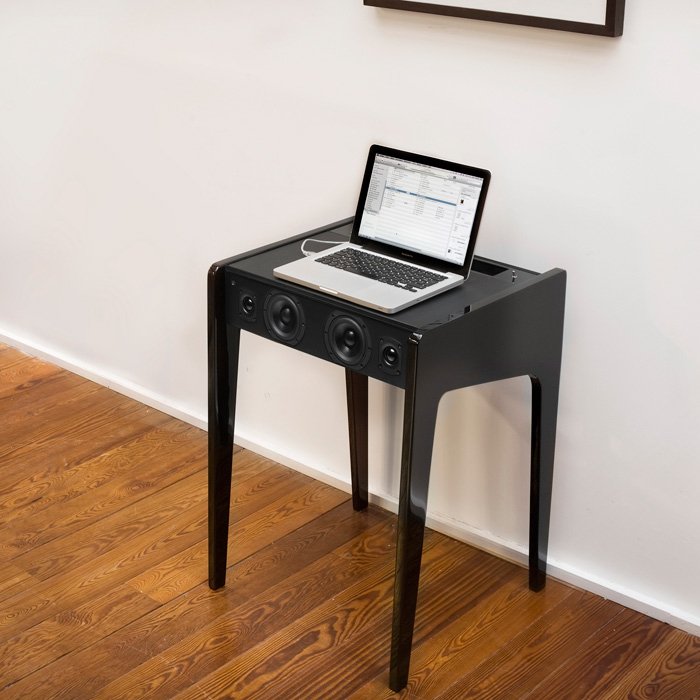 Introducing the LD120 Hi-Fi Soundsystem+Laptop Desk—in short, it’s a desk that doubles as a profoundly powerful European DJ booth—available now at A+R on Abbot Kinney. And sure, as for the desk aspect of this thing, you can sit here with your laptop and type things. Works great. Hours later, it’ll still hold up your laptop. But at a certain point, whether you set this up in your office or your living room, you’re going to want to plug your laptop right into it. Invite a few dozen people to join you. And see what it can do. 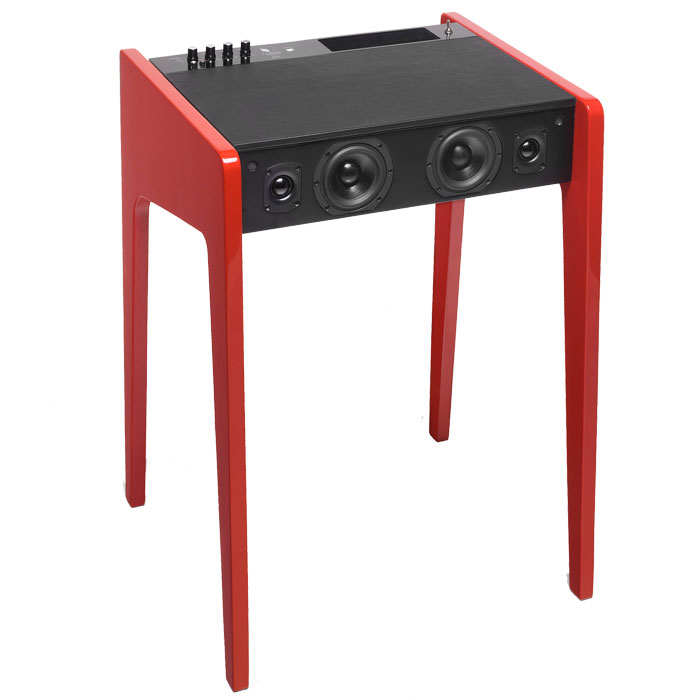 It’s got a digital-to-analog converter built in (makes the sound seem much less like it’s coming out of a laptop), along with a whopping seven speakers—two of which are at the back of the desk, made to reflect sound off the wall behind for even greater audio firepower. The office next door is gonna love you.